It is said that a fishing boat can never have two many rod holders. 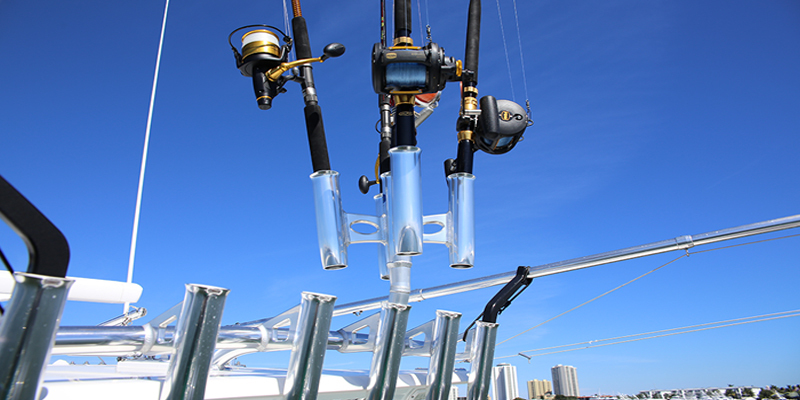 Birdsall Marine manufactures numerous marine rod holders covering all types of tackle and mounting applications. Weather you are looking to add more rod holders to you gunnels or t-top, Birdsall Marine has what you need. We carry a line of clamp on rod holders for both vertical and horizontal pipe to add holders with out welding. We offer different degree flush mount boating rod holders as well bolt on models in order to provide all options possible. Weld on rod holders are also available and can be added at our facility. Our line of rod holders for your center console boat includes such as double ups, collectors and tridents help clear fishing rods and optimize live baiting and kite fishing. Inshore application like the fly rod holder and light tackle rod holders adapt your existing gunnel rod holders to handle lighter rods. Don’t leave the poles at home get outfitted today.